Is being a CNA your dream? Are you finding it difficult to afford the fee of the training program? There are several alternatives that may support you afford your schooling. 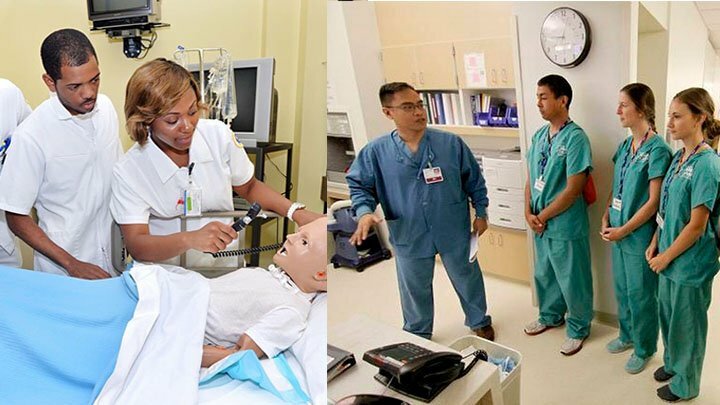 As the demand of nurse aides is very high throughout USA, various institutes, facilities and universities offer scholarships and grants to the eligible students, so that more and more aspirants can realize their dream. However, depending on your financial needs and personal situation, you can also apply for government grant funds to pay for your nursing assistant training. In order to get acquainted with the federal funding programs and grants for continued adult and vocation education, explore the website of U.S. Department of Education’s Office of Vocational and Adult Education. You may also get other information on site, like how to get education assistance in underfunded and rural areas. To get information about federal education grants for nurse aide education, visit the website Grants.gov. The site is allied with the United States Department of Health and Human Services and provides you the facility to apply online for grants. Check the website of the Job Corps. In order to help people building career in healthcare, the U.S. Department of Labor gives sponsorships to the Job Corps program,. Contact the financial aid department of that institute in which you are considering to take admission. The representative of the department will let you know the criteria and procedure of availing grants or scholarships. Talk to local private care facilities or hospitals to know about government grants. Some healthcare facilities provide grants or scholarships, if you consent to do job with them for a particular duration, after completion of the CNA certification. If this option is right for you, be quick and approach a facility, where you will like to carry your work as a nursing assistant. Potential nurse aides may take advantage of the following grants to complete their CNA education. In you belong to any of these groups- ethnic minority, single parents or women; you can acquire small federal grants to fulfil your financial requirements for continuing education. These type of grants or scholarships are provided by the medical schools or institutes. With the help of this financial aid, you can cover the entire training cost. If you fail to get the federal grant, you can try for state grant. Several states offer incentive programs to those aspirants, who are keen to do job in high-need locations (such as remote and poorer areas), after completion of their education. This grant is provided by the organizations, like nursing homes, recruitments agencies and career advice organizations. State medical board provide grants and scholarship to several private healthcare institutes every year to offer training to the aspiring students. The eligibility criterion to avail opportunity grant varies from state to state. Generally, this grant is available to those, who are low salaried and willing to attend CNA training at a community college. This grant is meant for the disabled individuals, who want to become a nurse aide but can’t pay for their training. Several states conduct vocational rehabilitation programs to provide training to such individuals. To know more about these programs, visit the local district office or workforce office. This act was enacted to assist the jobless individuals in finding the job. If you are currently not working anywhere and seriously want to be a certified nurse aide, then you should visit the labour force business office in your locality and apply for completely free nurse aide education program. If you meet the specified criteria under this act, you can get free training. If you are determined to become a nursing assistant, begin to look for financial aid programs right from the time, when you are about to finish your high school diploma. You will have to face a great competition for acquiring the financial aid. Try to put yourself as an eligible candidate in front of scholarships and grants committee. If you want to improve your chances of getting scholarship, try to score outstanding grade point average. Your application for the grant should be decent.